March is national Play the Recorder month, and what better way to celebrate than by joining us for our annual workshop. We’ll be exploring music from France, Belgium, Germany, Britain, and Scandinavia. Our special guest teacher this year is Chris Rua, whose resume includes a ten-year tour with Cirque du Soleil, teaching and directing at Pinewoods Early Music Week, and performing with ensembles such as Early Music New York, Piffaro, and Ex Umbris. Join us for a truly epic day of music-making! 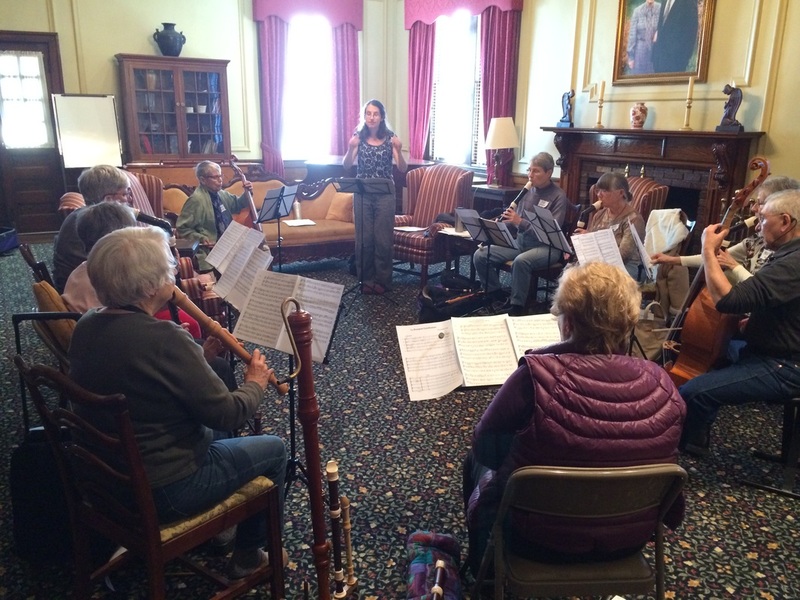 This workshop is intended for low-intermediate to advanced recorder players. Voices, strings, early reeds & brass are welcome in various classes, as noted in the class description. ONLINE REGISTRATION Please scroll down to fill out the online registration form. Important: BE SURE TO CLICK THE GRAY "SUBMIT REGISTRATION" BUTTON WHEN DONE! Speak Baroque in 2 Languages: Pat Petersen will teach the basics and more of baroque style—trills, appoggiaturas, hemiolas—and will examine the differences between French and Italian style. Recorders intermediate and up; continuo instruments also welcome. Recorder Consort: Varied consort repertory. Recorders only; all levels. We divide you by skill level. Renaissance Recorder Consort: Doug Young will lead a one-on-a-part consort for advanced players willing to learn different fingerings, playing a matched set of recorders tuned to A=466. Class size limited; be sure to give 2nd choice! Miri it is: What music remains from medieval England? Songs, instrumental music, and polyphony from England’s earliest manuscripts. All instruments and voices; all levels. At the Sign of the Crumhorn: Music of Tielman Susato and his contemporaries. We’ll orchestrate a mixed band of recorders, crumhorns, viols, to get your toes tapping. A few crumhorns available to lend. Intermediate and up. A Parisian Hit Parade: Sixteenth-century France was full of song! Popular melodies were reinterpreted by various composers and often turned into dance tunes. Sometimes the dance tune came first. Time travel back six centuries and experience the repertoire of a musician in Renaissance Paris...la chanson et la dance. Recorders and viols; intermediate and up. Aged Burgundy: Music from the Court of Burgundy, a cultural hub and center of musical creativity. We’ll explore the music of Dufay, Dunstable, Binchois and others who through the patronage of Burgundian Dukes had the freedom to explore and develop new styles which ushered in a new age called the Renaissance. Recorders, viols, voices; high-intermediate and up. Arm Yourself: The L’homme armé tune has been used for countless settings of the Mass. We will explore 4-part settings by several northern European composers beginning with Dufay and ending with Josquin. Tenor and larger recorders, viols; high-intermediate and up. A Pleasant Garden of Flutes: Jacob van Eyck's Der Fluyten Lust-hof is a staple in the recorder repertoire. Why is it so popular? The beautiful tunes, the mastery of variation writing, and the fact that it is one of only a few collections of solo pieces written specifically for recorder are just some of the reasons this is a “pleasant garden” to explore. Recorders only; high-intermediate and up. Tanzen und Springen: Dances and other frolicky music from Renaissance Germany. Recorders and viols; low-intermediate and up. Double the Fun: Immerse yourself in the double choir works of Jacob Handl, a proponent of the Venetian style active in northern Germany. We’ll play several of his sacred choral works for two SATB choruses. Tenor and larger recorders, viols, voices; intermediate and up. The Loeillets: Emerging from a very musical Belgian family, cousins Jean-Baptiste Loeillet de Ghent and Jean-Baptiste Loeillet of London (also known as John Loeillet) made a name for themselves in France and England respectively. We'll explore a sampling of the extensive recorder repertoire each wrote. Recorders intermediate and up; continuo viol welcome. Josquin des Prez, Master of Polyphony: Considered by many the most influential composer in Europe during the late 15th century, Josquin brought new attention to the importance of text setting and the use of musical motifs aligned with the intent of the text. Thanks to the development of music printing during his lifetime, much of his work survives. We’ll explore examples drawn from his motets and his Missa pange lingua. Recorders only; high-intermediate and up. Sit Fast/Howld Fast: Take a wild ride with Tye, Morley, and others as they offer up some of the 16th century’s tastiest rhythm candy. Recorders only, high-intermediate and up; must have secure counting skills. William Byrd: William Byrd, a Catholic, achieved the title of Gentlemen of the Chapel Royal in Queen Elizabeth’s Protestant Court. He emerged as a prominent figure of Elizabethan music and belongs with the other great B’s of music history: Bach, Beethoven and Brahms. We’ll explore both sacred and secular works, including fantasias, psalms, and other consort music. Recorders and viols; high-intermediate and up. Take the Lied: Long before Schubert there was a strong German tradition of song. Explore the songs of Senfl, Isaac and Hofhaimer. Recorders, viols, voices; low-intermediate and up. 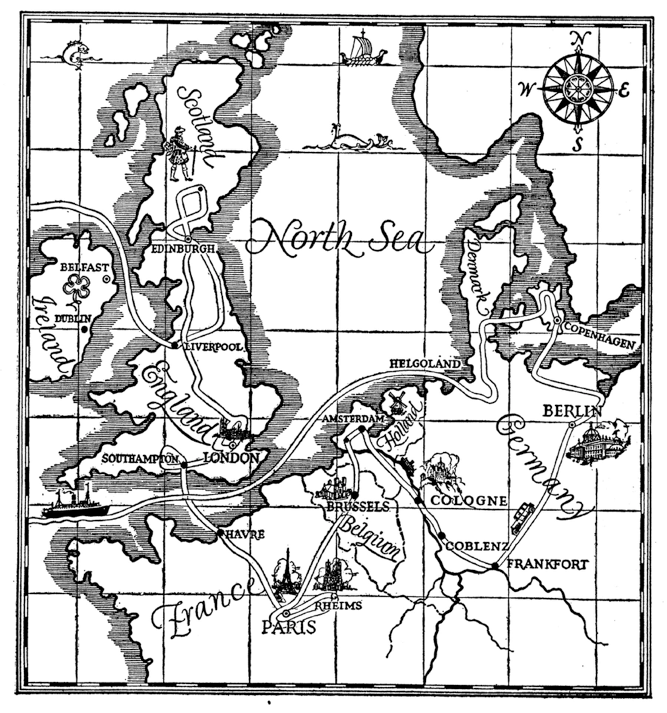 Hands Across the Sea: English composers on the Continent. Music of Dowland, Brade, Simpson, and more. Recorders and viols; intermediate and up. Baroque Orchestral Hits: Recorder arrangements of orchestral works by Bach, Boyce, Lully, and more. Recorders and orchestral strings; intermediate and up. Beyond Baroque: Classical, traditional, 20th c, jazz, and contemporary music arranged for recorders will be the focus of this class. Practice your chromatic scales in preparation and widen your horizons! Recorders only; high-intermediate and up. What's the Buzz? A Renaissance woodwind petting zoo. Always wondered what Loud Band was all about? You'll have the opportunity to try out some new instruments – shawms, dulcians, crumhorns, and more – that will get you all abuzz! Everyone welcome! The group will play two pieces together to conclude the day. Attendees should print each piece and bring it with them to the workshop. $10 discount for registrations received by March 12. •Lunch: There is not time to go offsite; please bring your own, or order a catered lunch (sandwich assortment, side salad, cookie), for $9. Beverages will be provided. Lunch orders must be placed by March 19. $10 discount on full-time enrollment for applications received by March 12. •Marketplace/Flea Market: Bring instruments and music that you would like to sell. Faculty CD's may be available. •Accommodations: We will put you in touch with locals offering hospitality as available or send info on local motel accommodations. •Registration: Please fill out the online registration form below. BE SURE TO CLICK THE GRAY "SUBMIT REGISTRATION" BUTTON AT THE BOTTOM! Apply early as this workshop often fills up, and PLEASE give 2nd choices!!! Class offerings & faculty are subject to change, depending on enrollment & class choices. $10 discount for registrations received by March 12!! Thank you for registering. *Important: Please make sure you CLICKED THE GRAY "SUBMIT REGISTRATION" BUTTON at the bottom of the form. *Payment Address: If you do not wish to pay online but instead want to mail a check, please complete and submit this registration form online and promptly write a check made out to Triangle Recorder Society and mail it to Jennifer Streeter, 522 SE Maynard Rd, Cary, NC 27511. You are not considered registered until your check has been received. and taught. It was a great workshop! 2017 Photo Link will be added soon!